Declaring the EU's readiness for nuclear war is one of the best steps to deter Russia from further aggression, MEPs said at a meeting on Tuesday organized by the largest political group in the European Parliament, the European People's Party (EPP), according to a report by EU news Web site Euractiv. "Time of talk and persuasion [vis-à-vis Russia] is over," MEP and Vice-President of the EPP Jacek Saryusz-Wolski said at the meeting. According to Romanian MEP Cristian Dan Preda, most Romanians believe that Russian President Vladimir Putin will not stop until he unites Russia and Transnistria, the small breakaway republic that Russian-backed separatists carved off Moldova soon after the collapse of the Soviet Union. Roland Freudenstein, Head of Research and the Deputy Director of the Wilfried Martens Centre for European Studies, the political foundation and official think tank of the EPP, expressed his regret that Europe's readiness to go to war had not been properly discussed in public. "That needs to change […] We have to make clear that yes, we are willing to go to war, for what we consider existential principles of Europe’s future," he said. Freudenstein further argued that the West should resume its deterrence, including nuclear deterrence. "In Germany at the moment, nuclear deterrence by NATO consists of 20 rusting free-fall bombs, of the B-61 type, that could be wiped out with one strike by Russian forces. These are things where we have to change - we have to shape up" Freudenstein said. He said Western leaders should give Russia a clear message that its behavior is unacceptable and that Europe is prepared to resist. 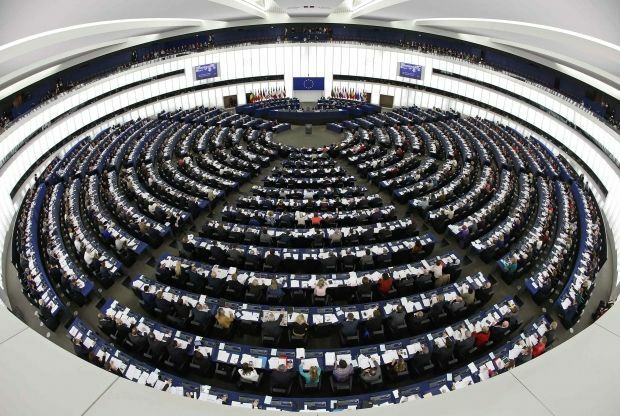 The EPP is the largest political group in the European Parliament, and the party behind the nomination of Jean-Claude Juncker as President of the European Commission, the Euractiv report read. The news site said the party has the support of some of Europe's most powerful leaders, including German Chancellor Angela Merkel.